This is not a drill. After devouring these pancakes we can say (with gusto) that these are absolutely the best pancakes we’ve ever had. Maybe it’s our deep love of cinnamon rolls and our astonishment that these flapjacks could taste so much like our favorite pastry, or maybe it’s just because this breakfast food totally knocks it out of the park…who knows. 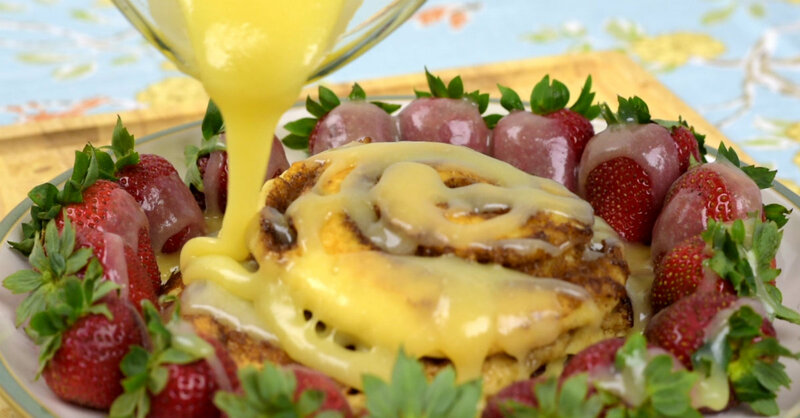 Either way, these cinnamon-swirled, cream-cheese-glazed beauties are a much-needed addition to your morning routine; trust us, you’ll never want to go back to plain, with maple syrup again! 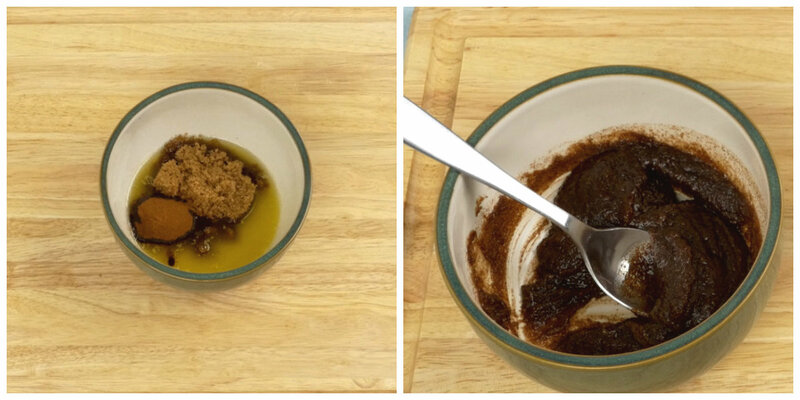 Start by making your cinnamon swirl and stir brown sugar and cinnamon into the melted butter. 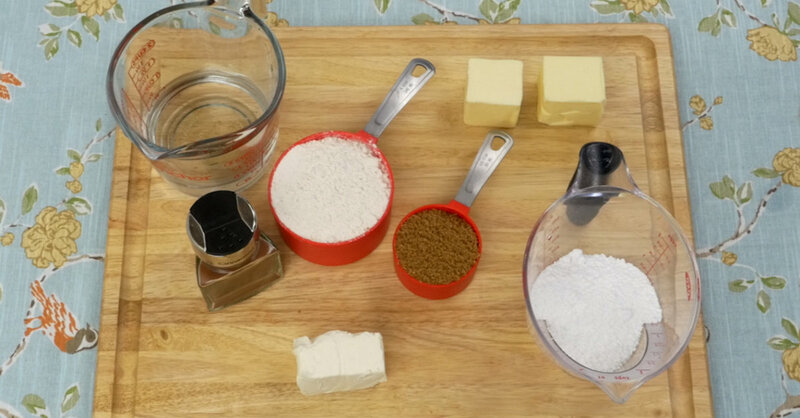 Mix until smooth, then refrigerate until sugar is the consistency of toothpaste. 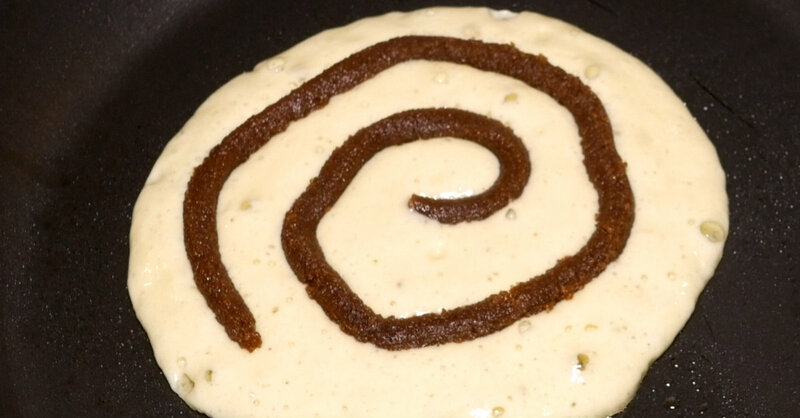 Note: it’s important to let the sugar mixture chill so you get a defined swirl in your pancake. 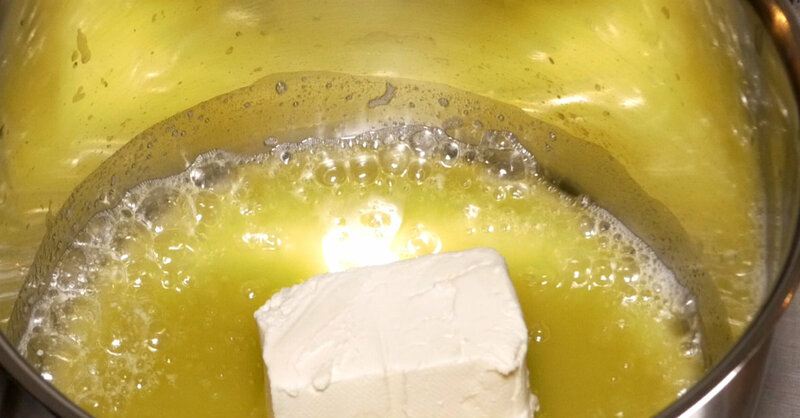 For the glaze, melt butter and cream cheese together in a small saucepan over medium heat until combined (it’s ok if mixture isn’t smooth). Stir in powdered sugar and vanilla extract and whisk until smooth. Keep warm until ready to use. 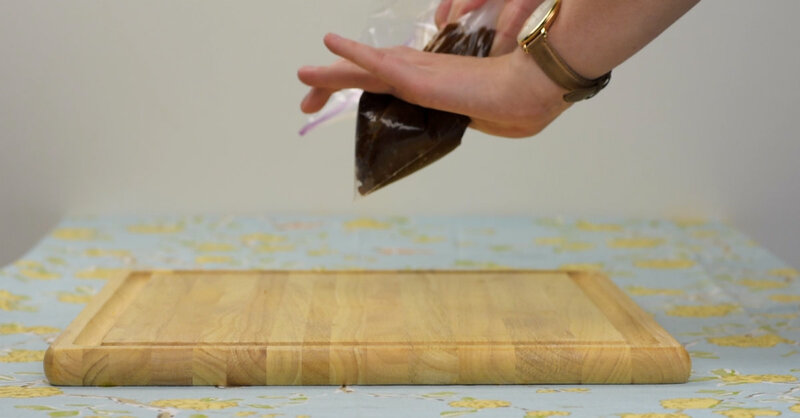 Remove cinnamon sugar mixture from fridge and transfer it to a large, re-sealable plastic bag. Push all cinnamon sugar into one corner and cut off the tip of the bag. Set aside until ready to start making pancakes. 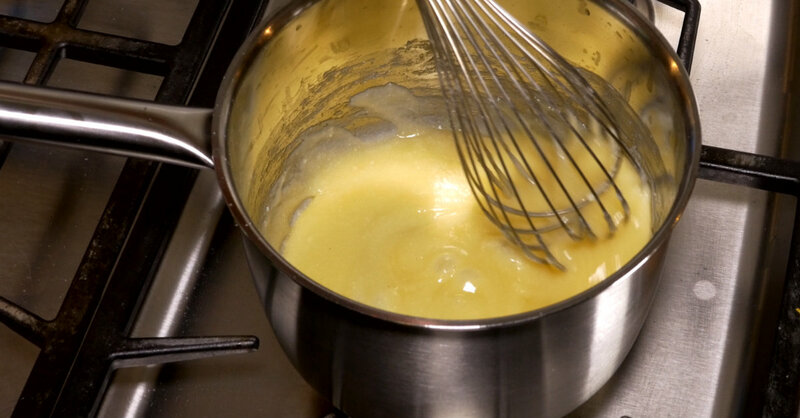 Prepare pancake batter by mixing dry mix with water (or milk) and stirring until no lumps remain. Spray a pan or skillet with non-stick spray and heat over medium heat until hot, then pour 1/4 cup batter into the pan. 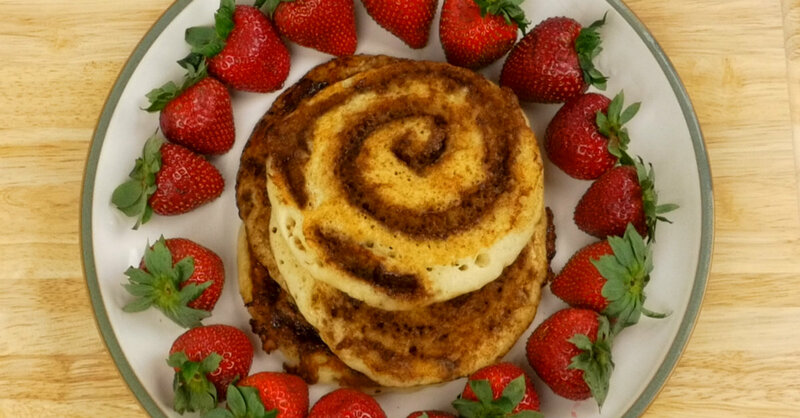 Once the first bubbles appear, take your cinnamon sugar piping bag and pipe a cinnamon swirl, starting in the center of your pancake. 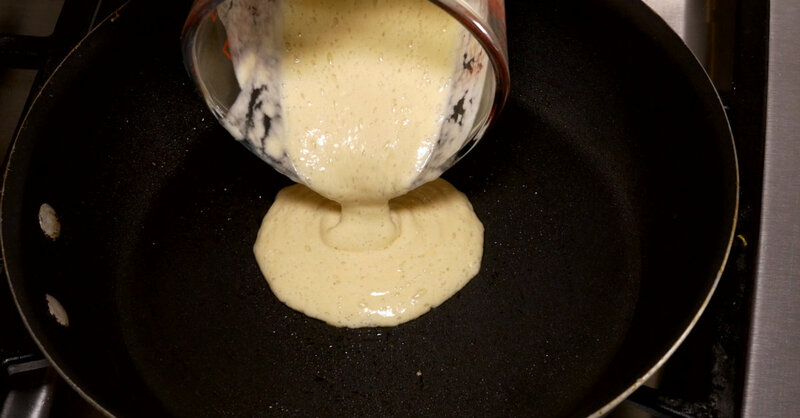 Wait until bubbles appear on the outer edges of your pancake, as well as in the center, and flip your pancake. Cook until bottom of pancake is golden brown (30-60 seconds) and transfer to a plate. Continue with remaining pancakes, then generously drizzle cream cheese glaze over the top.